SPOILER WARNING: The following article contains very minor spoilers for Batman v Superman: Dawn of Justice. If you have not yet seen the film, and wish to go in without any details, we recommend clicking away to another one of our wonderful articles. As you would expect from the title, director Zack Snyder’s Batman v Superman: Dawn of Justice commits a good chunk of its runtime establishing the heroes of the DC Cinematic Universe – and this is a list that includes Jason Momoa’s Aquaman. His appearance in the film is not only a precursor to next year’s Justice League movie (which will also be made by Snyder), but also the Aquaman solo feature that James Wan is attached to helm for release in 2018. Because of the lead-up, many have wondered exactly how much influence Snyder will have on Wan’s work, and the answer is that he’s become very involved laying the groundwork for the two-years-from-now blockbuster. Well, I think the story that I would like to tell is still at the end of the day my story. And that’s what’s cool with Zack, is that he’s actually very respectful of that. He’s actually helping me out in some ways with certain things that he’s doing with his [films] so that I can have better groundwork with the standalone Aquaman story. Things will obviously change significantly with the release of Justice League next year, as the aquatic hero will be a founding member of the titular team in the DC Cinematic Universe, but for right now Jason Momoa’s Aquaman is pretty much a clean slate. Zack Snyder first revealed the look of the character back in February 2015 - a few months before James Wan was hired to direct the solo movie – but he doesn’t do very much in Batman v Superman: Dawn of Justice. During the King of Atlantis’ screentime, he can be seen utilizing his trident and swimming at incredible speed. None of that really creates any narrative roadblocks that should affect the creative direction of Wan’s feature. 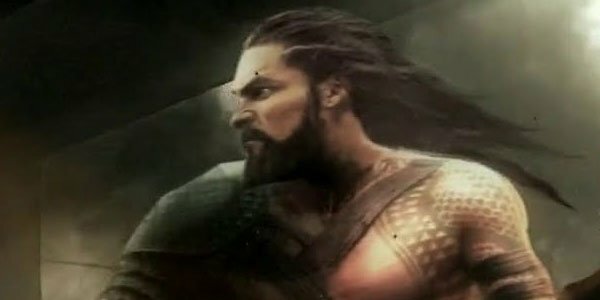 Would you like to see an Aquaman movie that falls directly in line with the tone and presentation of what’s featured in Batman v Superman: Dawn of Justice, or are you more excited to see James Wan’s specific take on the character – acknowledging his previous work on everything from Insidious to Furious 7? Hit the comments section with your thoughts!